I found myself once again in the dating pool at the age of forty-five. This is where "a lot of fish in the sea" becomes "several bottom-feeders peppered with sharks possessing false teeth." Fun 56, it sounds like an interesting book. Wow what a quote. Quite scary in reality. He is an interesting man. I hope you're enjoying it. Happy weekend! Love Brad's comment in your 56! Ha-ha. Very hilarious quote from a very funny comedian. 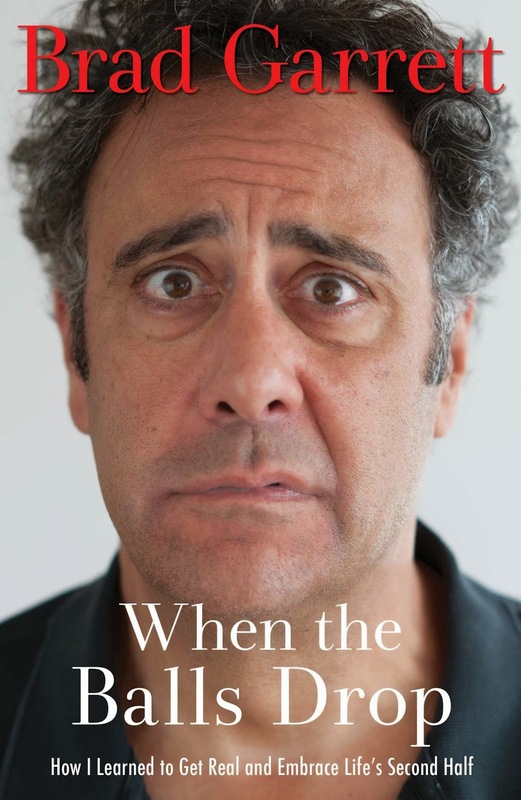 I would expect a memoir by Brad Garrett to have a lot of humor. Sounds good! Out of curiosity, have you ever thought about making a Friday56 hashtag on instagram? I love the idea of your meme, but I'm not so keen on microposts. Plus I think lots of hand lettered lines from books would be cute on my instagram feed! LOL This is so funny. I'd love to read it as I'm swimming in that sea. I have this one so I was excited to see it was your book this week! Love the 56! Too funny! Ha! Brad Garrett is awesome! I'll bet this book is hilarious! I always thought he was pretty funny on Raymond!